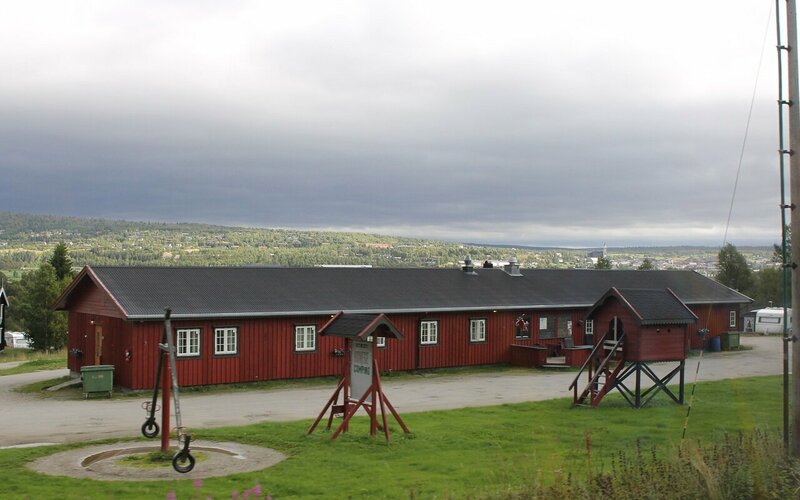 After spending the night and breakfast on the ski resort Idre heading towards Norway. 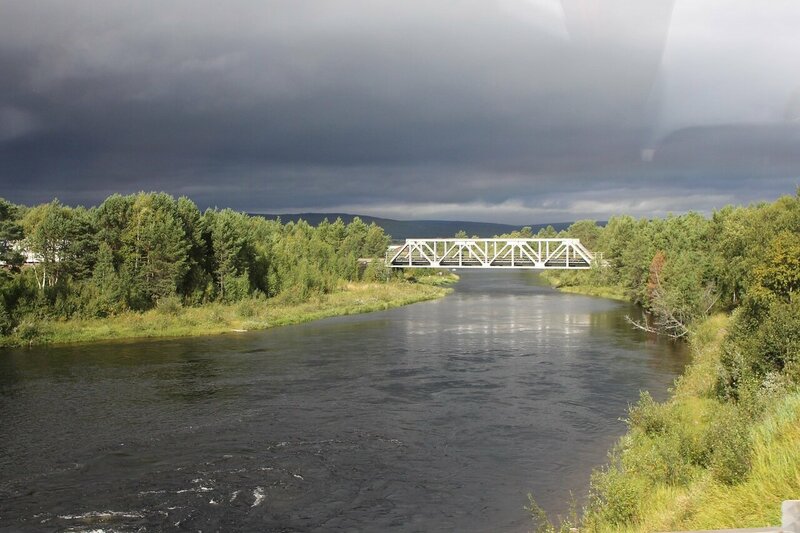 We drive over the bridge over the confluence of the Storån and Sörälven rivers flowing into lake Storån-Österdalälven. 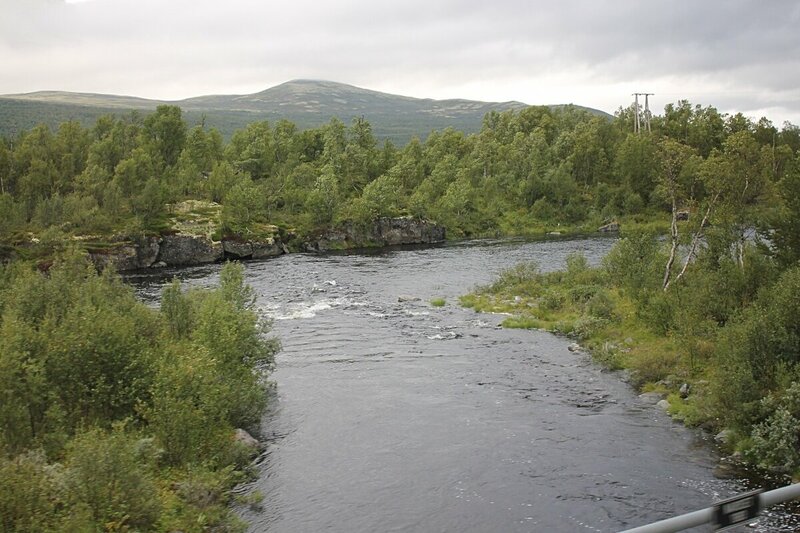 After ten kilometers on the road there is a small column with the sign "Norge". 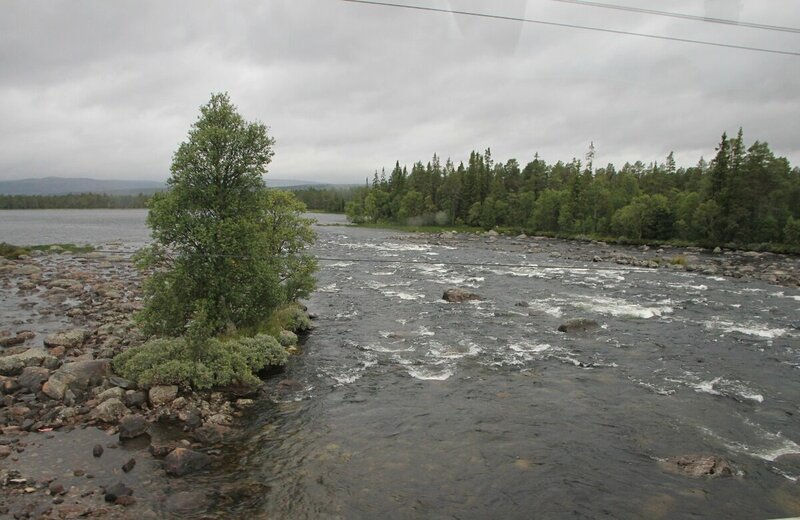 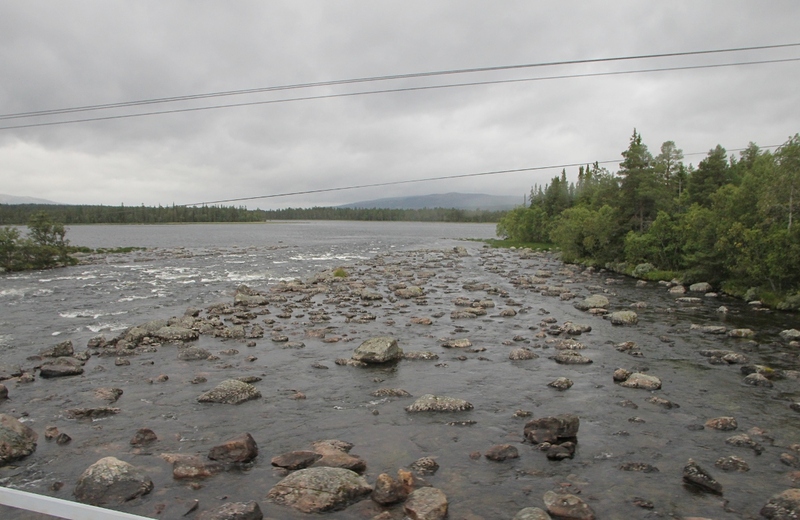 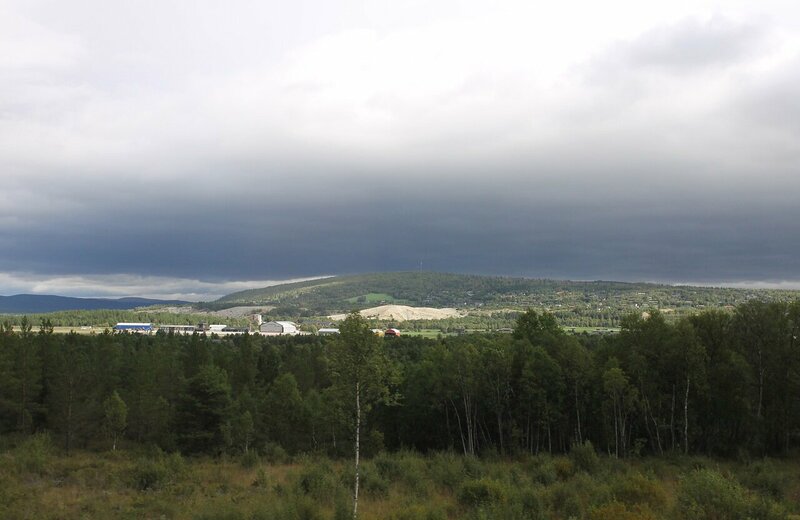 This is the border between Sweden and Norway. 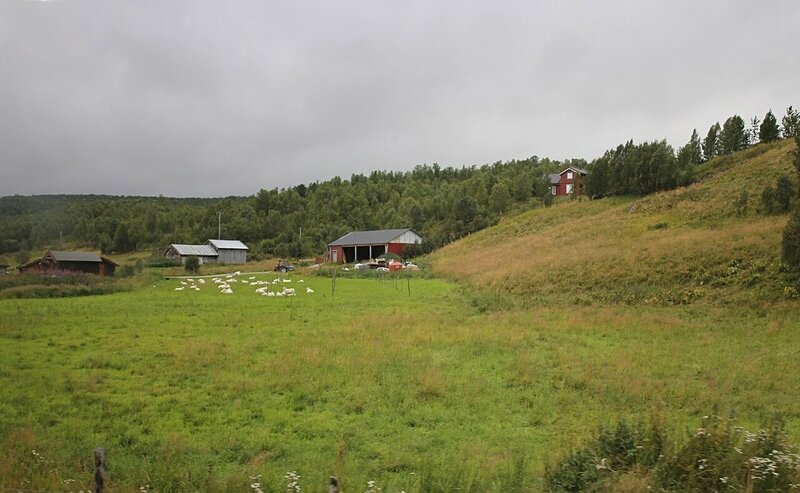 This area is not entirely deserted, often found along the road neat farm. 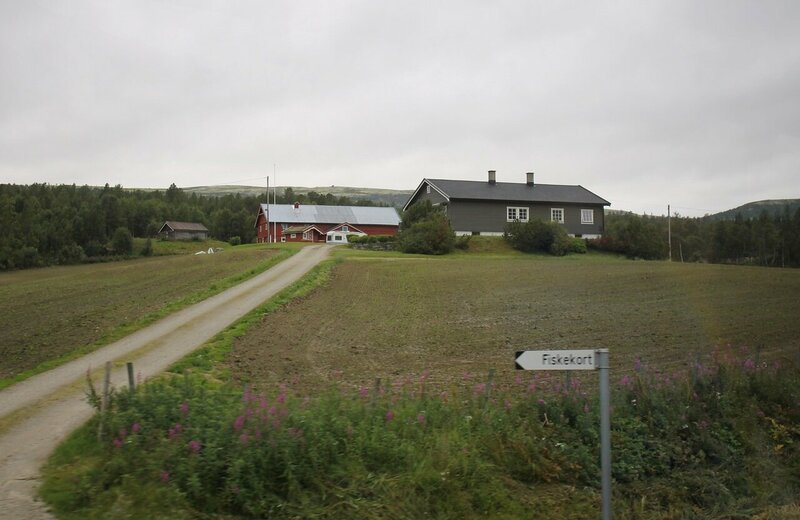 The road on which we drive is not like the international highway, it is an ordinary rural road from which to the farms go unpaved roads, however, very well rolled. In any case, not visible pits and puddles, although the rains here are often. 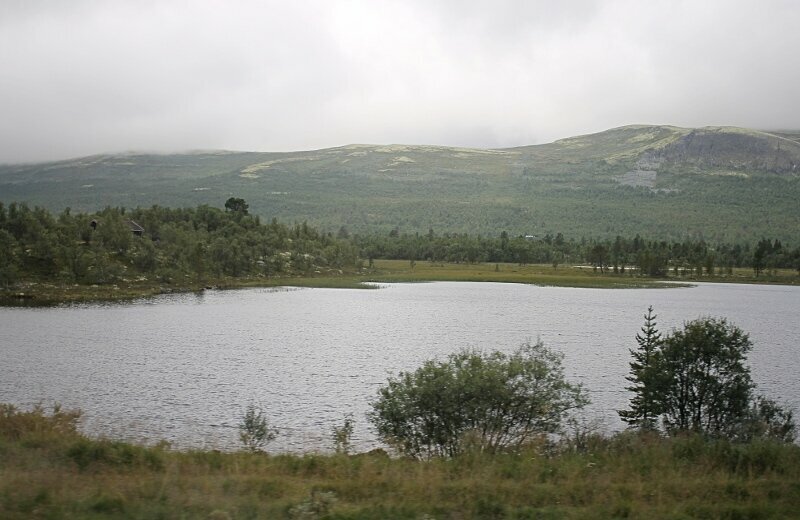 Outside the window the forest interspersed with lakes and marshes. 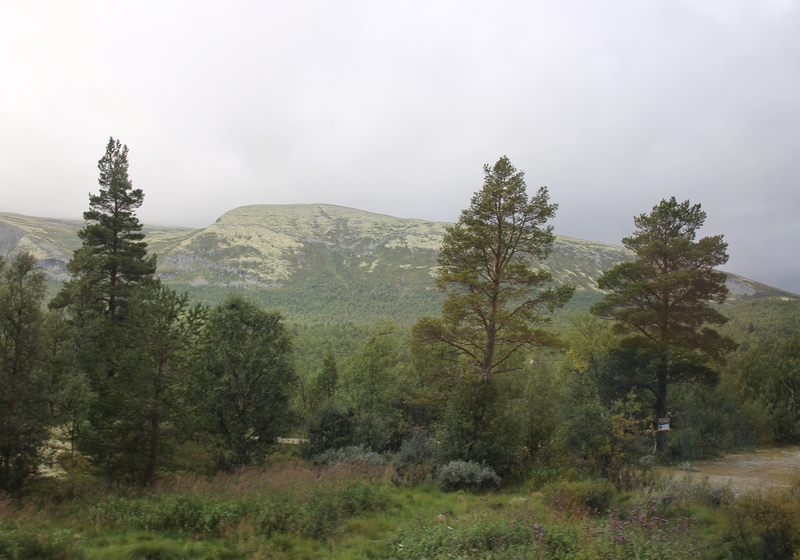 Behind the forests on both sides can be seen low mountains covered with bright green moss. 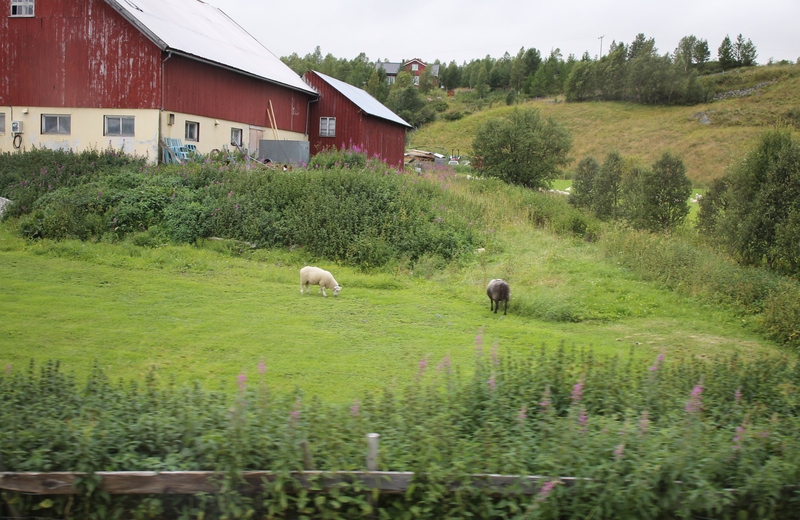 On the green meadows sheep graze leisurely, making no attempt to hide from the rain..
Cross the river Sømåa, along the valley of which the road passes. 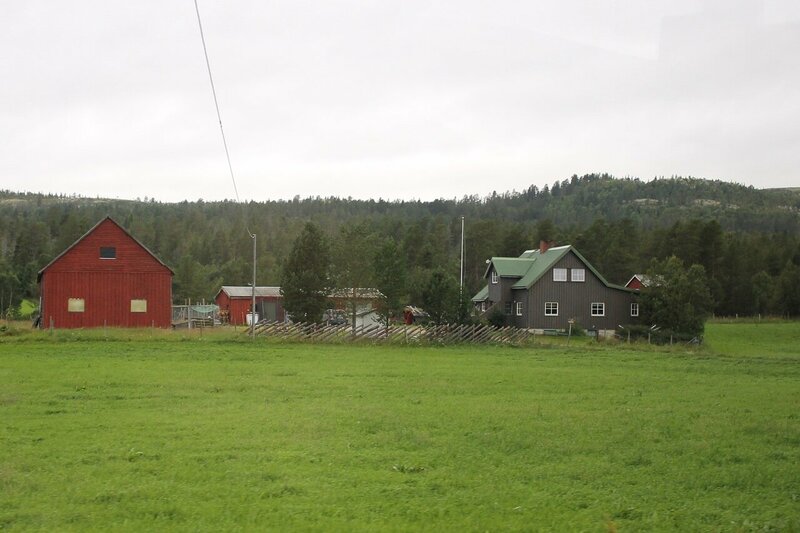 Farmhouses, barns. And the complete absence of fences. 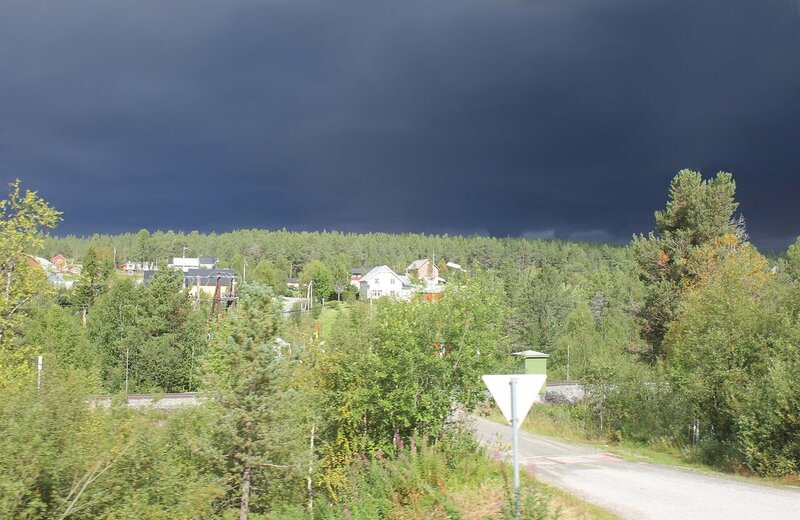 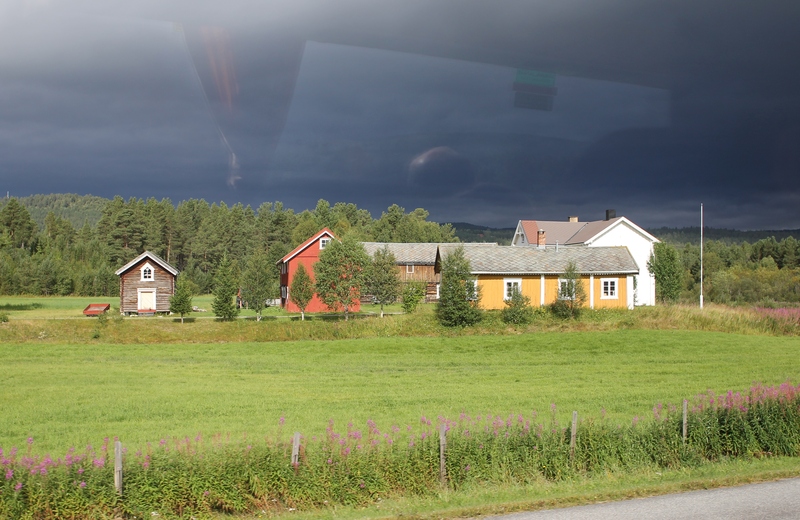 The weather here changes very quickly, we were just driving under heavy rain, but the sun came out and the gloomy landscape behind the windows of the bus was replaced by bright greenery of the short Northern summer. 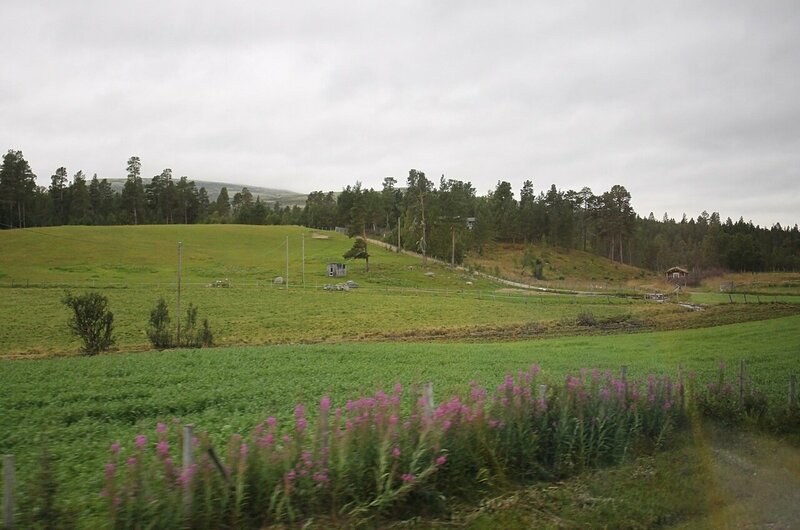 Here I first saw a neat white fence, performing decorative functions. 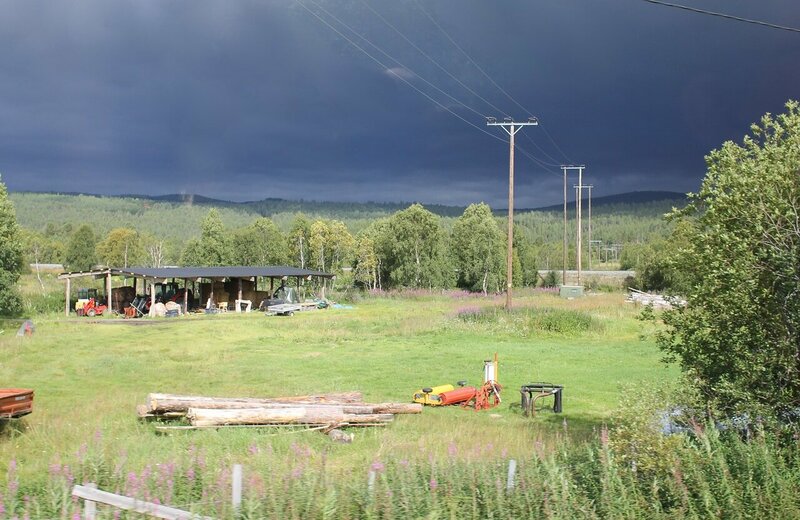 Surprisingly contrasting picture - a bright landscape on the background of leaden clouds. 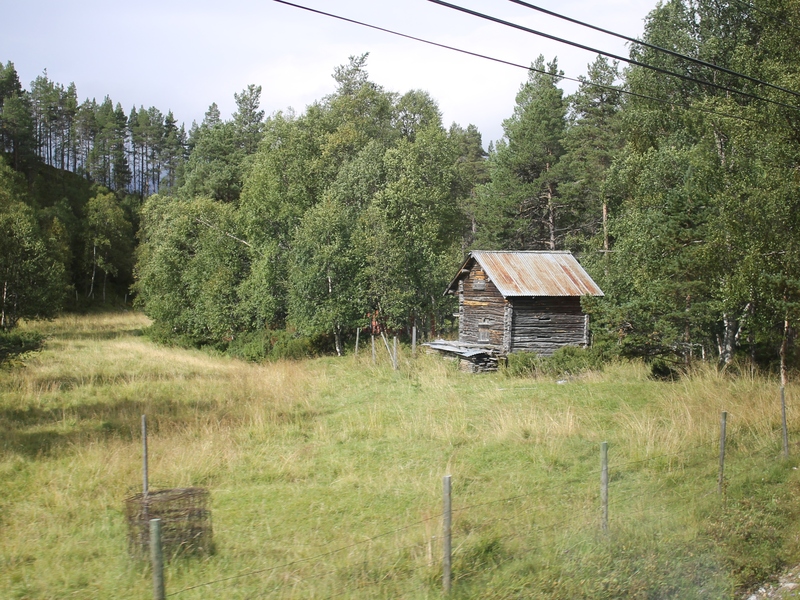 The house under the roof of laminated stone. 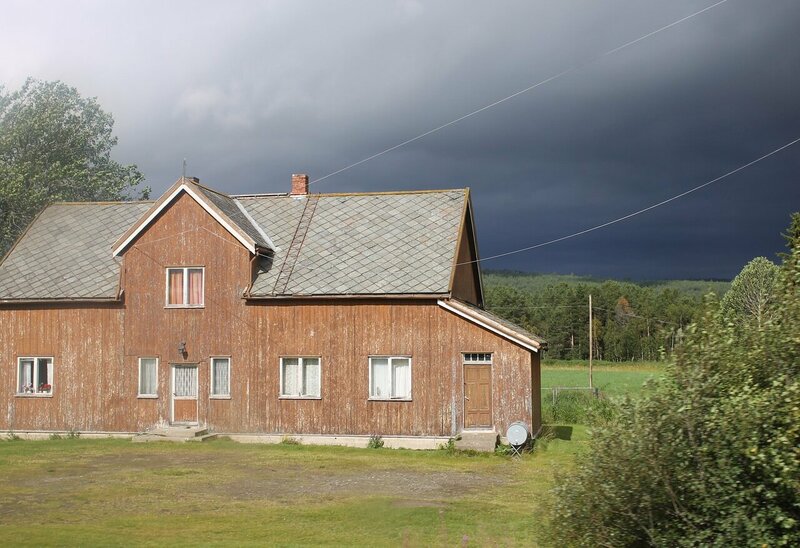 Almost all buildings in Norway are made of wood, the architecture is very simple. 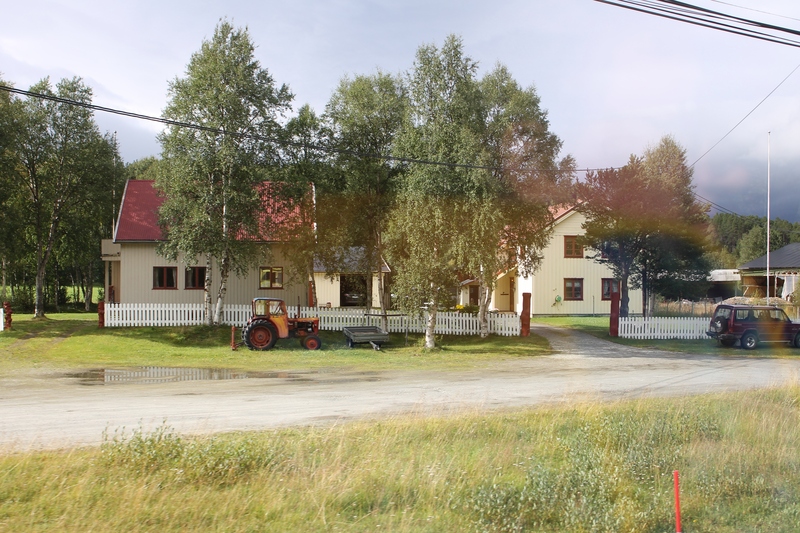 Machinery park of a farmer. 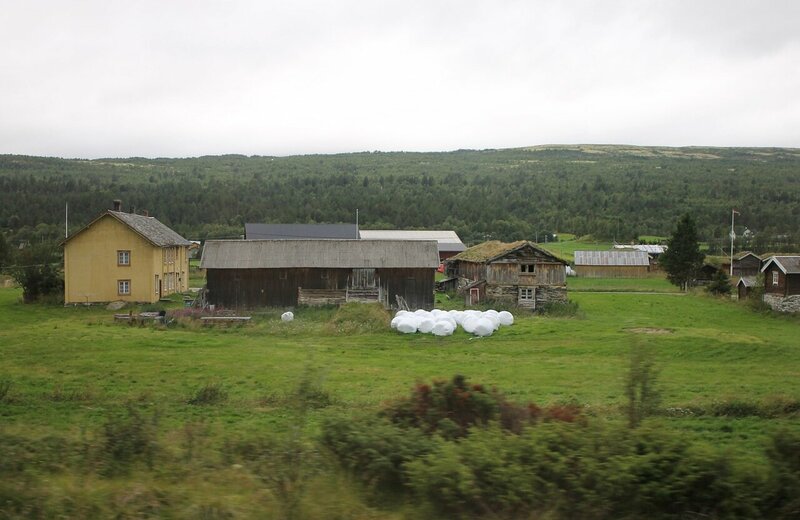 Here are stored bales of hay. 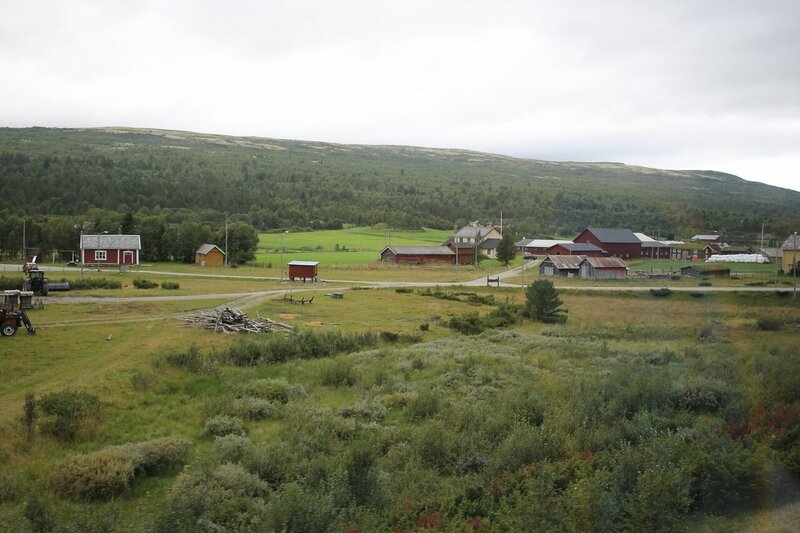 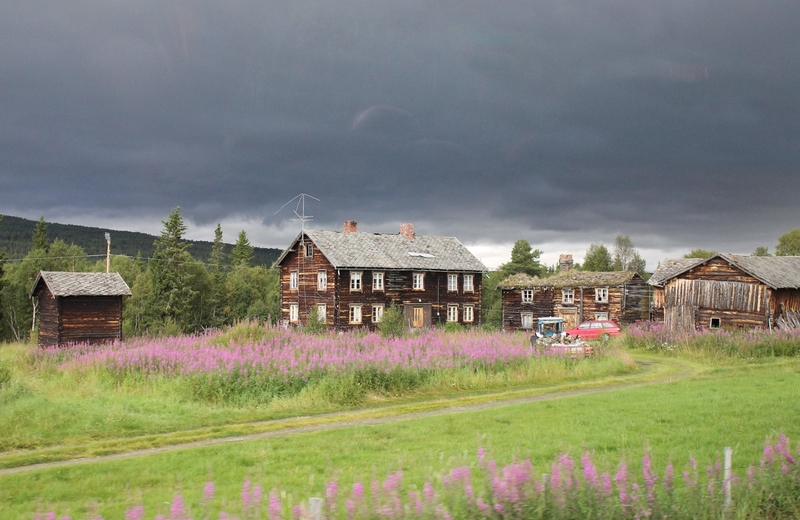 Signs of civilization began to fall more often-we go on the territory of the commune Røros. 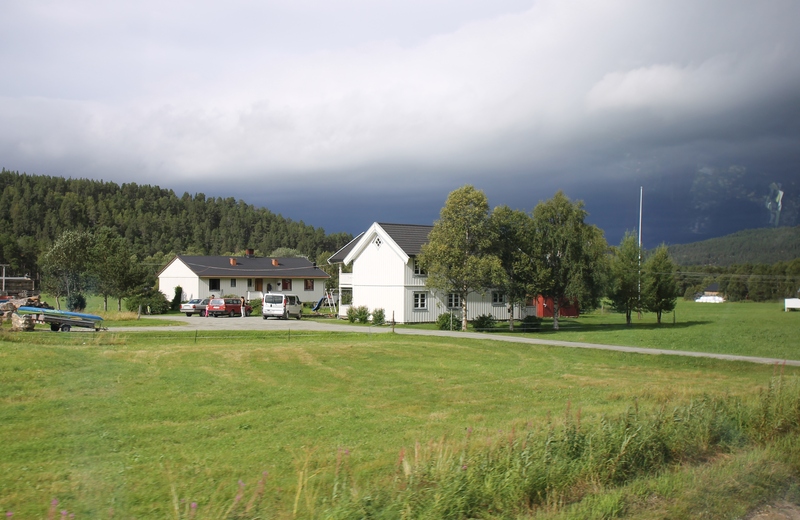 This region is known for harsh winters, in 1914 there were recorded the lowest in Central Norway temperatures -50,4 °C. In 1718, during the great Northern war, local frosts have caused significant damage to the Swedish army, then the cold killed more than 3,000 soldiers. Began to appear the first signs of mining - on the hillside whitewashing mine rock dump. Cross the river Gloma (Glåma), on the banks of which stands the ancient mining town Røros.